"People in the U.S. spend about 90% of their time indoors." Some of modern society’s most defining characteristics are in our buildings where we spend the majority of our lives. Our engineers specialize in designing the functional systems of your buildings, mechanical, electrical and plumbing (MEP) systems, such as those that control temperatures and lighting, help you pour a glass of water or protect against fire damage, and allow the ability to plug in and connect with the rest of the world. 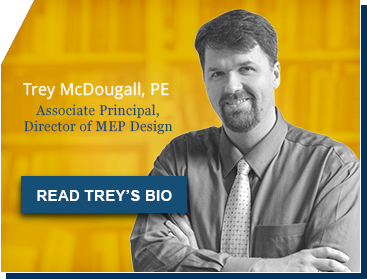 As we rely so heavily on these systems, we believe that good MEP design and coordination enhances the architecture and ethos of a building. Our team works hard to seamlessly integrate the MEP systems into the fabric of the architecture, focusing on safety, comfort and function.